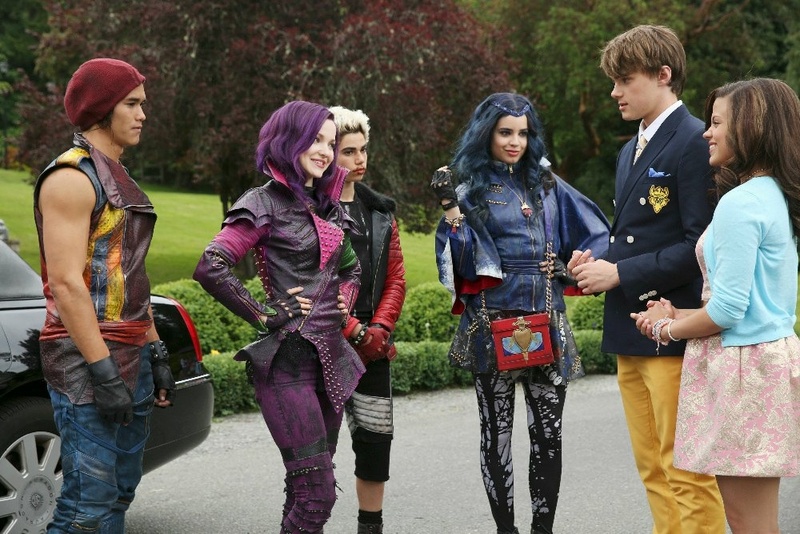 The teenage sons and daughters of Disney's most infamous villains star in Disney's "Descendants," a live-action movie that - with a knowing wink at traditional fairy tales - fuses castles with classrooms to create a contemporary, music-driven story about the challenges in living up to parental and peer expectations. Even though Halloween is weeks away, we're in Southern California. There are a lot of professional costumers, make-up artists, cosplayers and more who live here. It can be tough to look good in a costume when they can do it so much better. To help you keep up while dressing up, Fashion Trends Daily's Michelle Dalton Tyree joins Take Two for The Styled Side. One piece of advice is that parents can take a sigh of relief: "Frozen" fever may be letting up. Instead, Tyree says some of the hottest costumes this year are based on Disney's "Descendants," a film that follows the story of the children of Disney villains through high school.